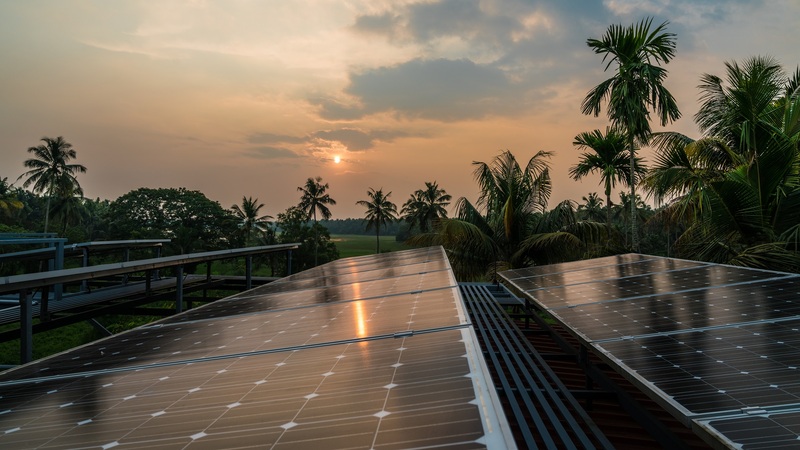 The Renewable Energy and Energy Efficiency Partnership develops innovative, efficient financing mechanisms to advance market readiness for clean energy services in low- and middle-income countries. REEEP designs and implements tailor-made financing mechanisms, utilising targeted injections of public funding to build dynamic, sustainable markets and ultimately make clean energy and energy efficiency technology accessible and affordable to all. REEEP invests primarily in disruptive approaches led by small- and medium-sized enterprise (SME) players in low- and middle-income countries, facilitating market- and community-led energy transitions. REEEP is a pathfinder: we design our programmes to demonstrate how countries can, effectively and efficiently, advance market readiness for clean energy, energy efficiency and energy access, for the benefit of the most vulnerable populations. REEEP’s work contributes to global efforts under the United Nations 2030 Agenda for Sustainable Development to advance energy access; combat climate change and improve resiliency; reduce damage to the environment; improve livelihoods and facilitate economic growth where it matters most. The 2015 Paris Agreement on Climate Change remains the second major guiding force in REEEP’s work. Market transformation is complex and multidimensional. REEEP monitors, evaluates and learns from its programmes to understand better the systems we work in, identify opportunities and barriers to success and lower risk for market actors. We share the insights and knowledge we gain with government and private sector stakeholders, helping to improve policy and investment decisions. This knowledge also informs the continuous adaptation of our methodologies to build scale within and enable replication of our programmes across markets. Since 2016, REEEP has been the executing partner, and together with the United Nations Industrial Development Organization (UNIDO) the host of the Private Financing Advisory Network (PFAN). A network of more than 100 clean energy investment experts, PFAN identifies promising climate adaptation and clean energy projects, provides them with no-cost coaching and offers investment facilitation services.